5.0 - Good product for cataracts. Good quality product. I took it for cataracts. It held them at bay until surgery. 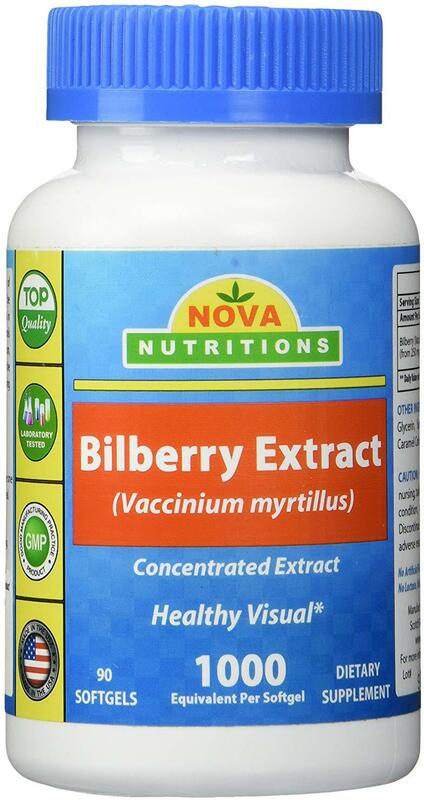 I've taken bilberry for years and it seems to be keeping my cataracts from getting worse. Also my astigmatism seems to have gone away. This is a good brand, I'm going to keep ordering it. Much clearer sight at night and no more floaters from cataracts!! I bought this because I read that taking 5 a day would clear cataracts. It does seem to be working. The veil is getting thinner. I will buy more of it. 5.0 - WWII bomber pilots used bilberries! Bilberries were prescribed by WWII doctors in Britain to the pilots to improve their night vision on bombing runs over Germany. 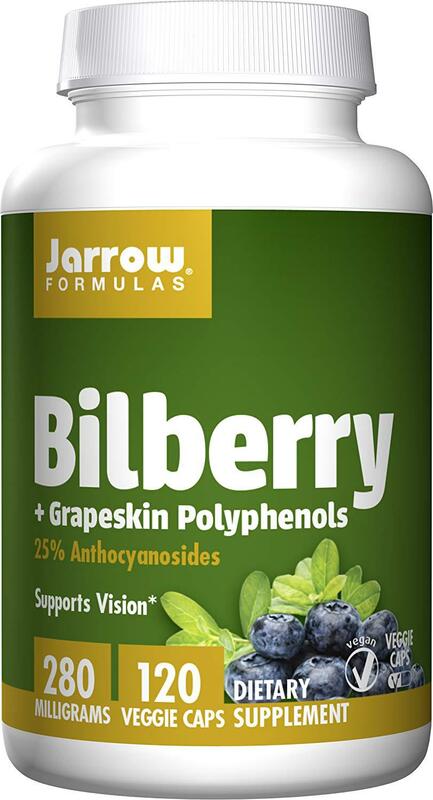 Seems to have worked for them, I've taken them for years, bilberry's purpose is to maintain blood flow to the rods and cones in the back of the eye. At age 77 I'm just dealing with cataracts, but have to date no problem with the cells in the back of the eye. I'm a bit of a skeptic about most OTC nostrums, but--while I'm not ready for a ringing endorsement--I trust the quality of Jarrow products and will continue to use them. 5.0 - Excellent Supplement for Your Eyes. Polyphenols Are Great for Boosting Energy. I got this to improve my vision and that of my wife who is 44 years younger than I am. And I had a retinal detachment twenty years ago and cataracts are slowly affecting my vision - not getting worse, but not better either. Polyphenols are a superfood and I want to increase my consumption not just for vision improvement. It has lots of additional benefits and I want to explore. 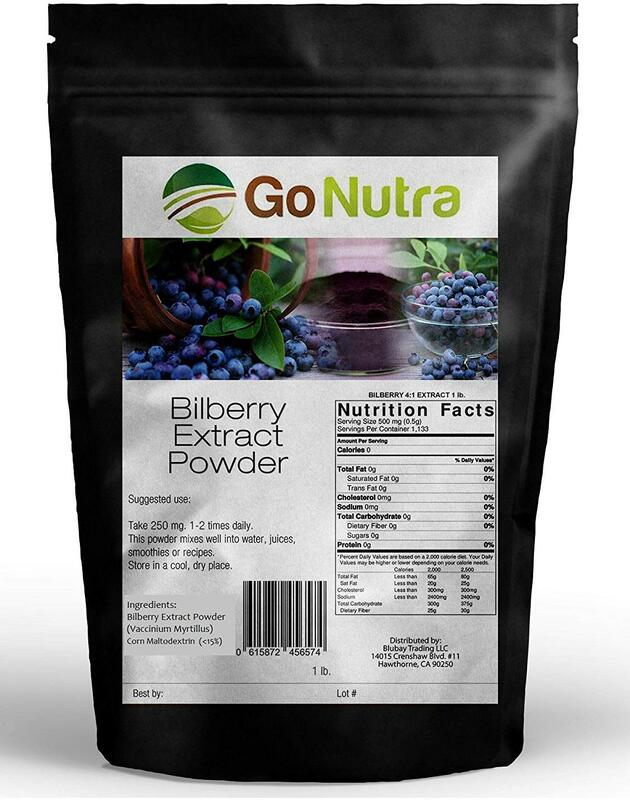 But Bilberry is a great start as I continue to study Polyphenols. I know I am polyphenol deficient and I need to make up for my lack of consuming them. And this product is an easy way to start. I'll report on it in the future if I notice even a fraction of the benefit claims. 5.0 - I think it is helping. I started taking this when my eye doctor said that it appeared that I had the beginning of cataracts. I read that bilberry could help slow or stop the progress of cataracts. I have only been taking this about a month so I don't know if it is helping with the cataracts. But, what I have noticed is that when I go outside, I am not feeling the "glare" of outdoor sun and light like I used to. I used to always grab my sunglasses as my eyes would squint and feel the discomfort of outside glare. Now, I forget my sunglasses because I am not feeling it at all like I was and I have to remind myself to put on my sunglasses. So, I think there is an improvement...I will keep taking this. Put in my dogs food as it helps with vision. Just sprinkled a few drops. My dog had mild cataracts, but still able to see objects far away and close up. Did not want her eyes to deteriorate any further. This helped. I should use myself as I need reading glasses now! 5.0 - Excellent quality, affordable and cured my dogs cataracts! Purchased this bilberry extract as my dog is now a senior and he was starting to get cataracts on his eyes. I was doing research on a natural approach and found bilberry is used for both humans and pets for eyesight. After one week of 3-4 small drops in his food a day his cataracts are gone! You can now see his pupils again and do not have the white glow any longer. Would highly recommend this for anyone as both treatment and preventative! Great quality and super affordable. Besides taking the PreserVision AREDS 2 Vitamin & Mineral Supplement for Macular Degeneration, my husbands eye doctor told him to take Bilberry since he also has cataracts. We chose this brand because a lot of the other brands contain rice powder, this one didn't. Also, I read that the extract works better than the ones that aren't an extract. Who knows? I was diagnosed with cataracts over 10 years ago. The doctor did not recommend surgery at the time, but I was familiar with the surgery as relatives and friends have had it with good results. A couple of years after the diagnose the same doctor said he could find no sign of the cataracts. I realized that it must be due the green smoothies that I was drinking every day. I made them with fruit in season, carrots, and lots of greens. This was the first I knew that cataracts could be reversed! I looked up different eye supplements on amazon and indeed, others were saying they had been helped and their vision was improved. I was excited about this, as I like to avoid medical procedures like surgery. Everyone said the cataract surgery was very easy and improved vision, but I had heard of some problems with it. For one thing, the doctor will ask you if you want to see better up close, or far away. My own eyes do both! So I continued avoiding cataracts and getting good eye checkups. But I did get burned out and making and drinking green smoothies. It takes time and commitment to make them every day. Soon the eye doctor said the cataracts were back and that I would need surgery soon. I started taking a lutein pill every day. I knew he was right, as I was seeing a lot of glare at night when I was driving. My next checkup he said I needed to be scheduled for surgery. I refused and went home and increased the lutein. I read in a medical newsletter that you really needed at least 40,000 mg of lutein a day. I started taking 4 pills of it , but I knew I still had glare issues. I felt that maybe I had been getting something in the smoothies that I was missing now. I changed brands of lutein and bought one that had zeaxanthin in it. 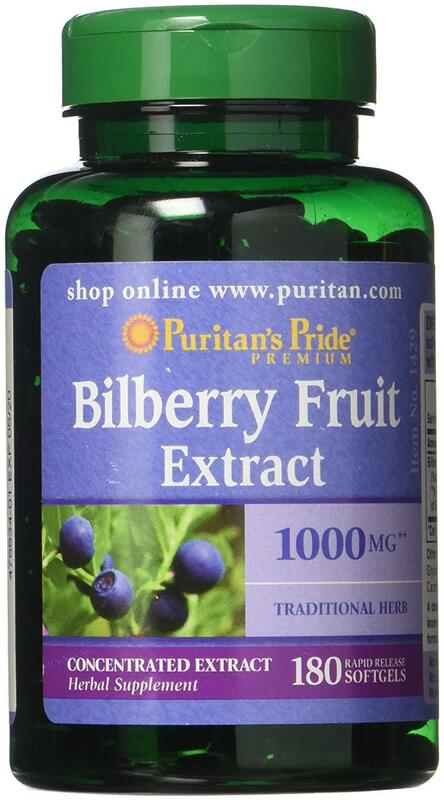 Recently I added two pills of bilberry extract, giving me 2000 mg of bilberry. Now bilberry is related to the blueberry, but is not the same. It is available frozen in Europe, but is hard to get in the United States. The berries are softer than blueberries and don't stay fresh for long. So it is unlikely you will find fresh berries in the market. Because I do feel a general lessening of depressive symptoms; and I'm sleeping better. However I've since discovered that there is a correlation between St. John's Wort and the subsequent formation of cataracts--- even a decade later--- due to the photo-sensitizing characteristics of this herb. I plan to finish the quanitity that I've purchased but I've reduced the dose (the tablets are easy to bite/break in half) and will probably discontinue use entirely because of this risk. But yes, in my experience the product works and it's a shame that the potential long-term trade-off in eye health is so great. Do your own research and decide what's best for you. Thus helps remove or at least shrink cataracts. Also for night blindness. 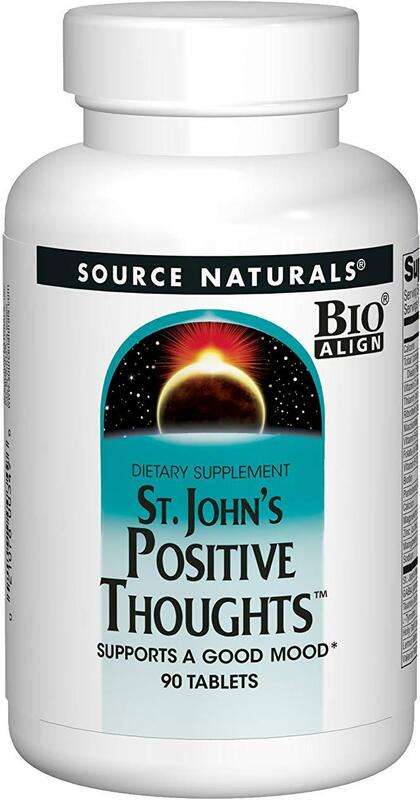 Use this regurally and had great results. Will order this again. Actually I bought this for a friend. She has cataracts and she thinks her eyes are improving. She had purchased new glasses, and the prescription is not correct now. She has been opening the capsule and putting it on her food. She has been on it about a month. 5.0 - A Low ph (Non-acidic) Vitamin C thats easy on the Digestive system without loosing the many benefits our Bodies need from C.
These are a high quality Vitamin C made with a neutral ph (non acidic) vitamin C, this means the normally high acid or high Ph vitamin C this is what you need to be able to take your vitamin C without digestive issues. 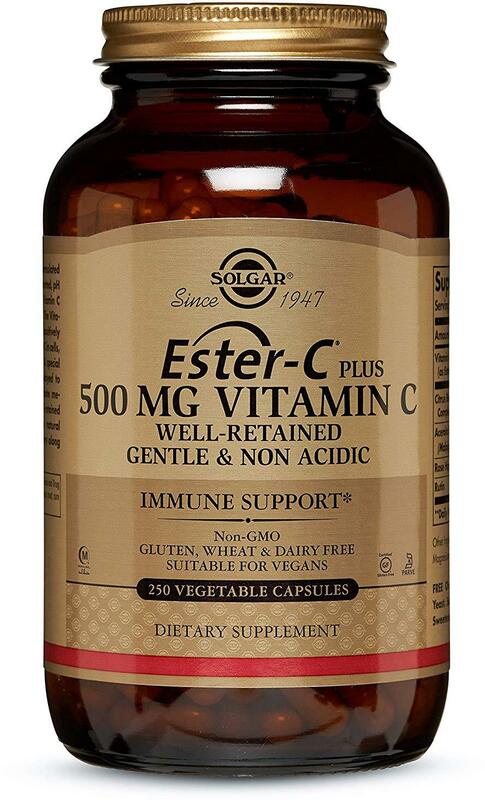 Vitamin C is one of the most important vitamins our bodies need, research indicates that vitamin C may help protect against a variety of cancers by combating free radicals, and helping neutralize the effects of nitrites. Vitamin C also helps boost our Immune system, its the best defense we have against microbes, bacteria, and viruses that would otherwise invade the body and destroy our health. Supplemental vitamin C may also lessen the duration and symptoms of a common cold, help delay or prevent cataracts, and support healthy immune function. 5.0 - Good for eyes. 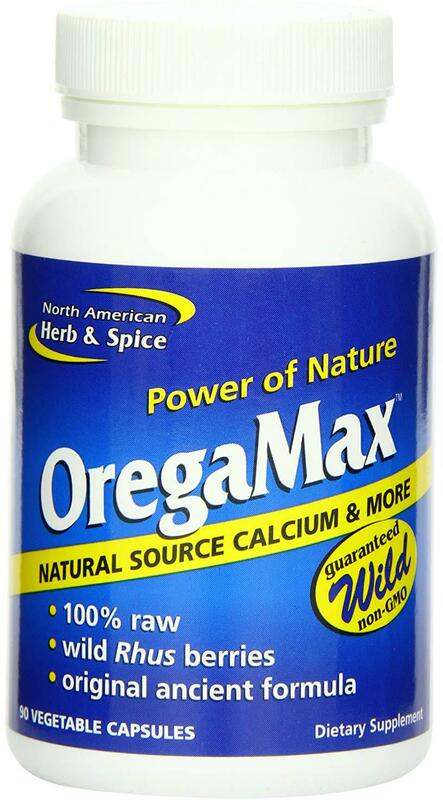 Started to use this in smoothies, instead of taking a pill form supplement occasionally. This is said to aid in cataracts and other eye issues. No medical claim, and only time will tell. Husband used it in eyes(cataracts) and toungue straight. Did have a little sting, but not unbearable.